The Cougar vehicle transports explosive ordnance disposal operators and their tools. It is one of several armoured vehicles making up the Canadian Army’s Expedient Route Opening Capability suite. Photo: ©2017 DND/MDN Canada. A newly-constructed road at 5th Canadian Division Support Base (5 CDSB) Gagetown is improving vital training in improvised explosive device (IED) detection. In 2018, 4 Engineer Support Regiment (4 ESR), part of the Canadian Combat Support Brigade, took the lead for Section Commander and Operator courses when it became the de facto Centre of Excellence for the Canadian Army’s Expedient Route Opening Capability (EROC). This allowed 43 Counter-Improvised Explosive Devices Squadron (43 C-IED Sqn) more flexibility with the planning of these courses. 4 ESR is also engaged in improving EROC doctrine and assists with the running of specific vehicle trials. EROC is used to search roads for possible IEDs. It is comprised of a Route Search Team (RST), an Intermediate Search Team (IST) and the Troop Leadership. The RST groups together three specialized vehicles: two Husky vehicles and a Buffalo, with a total of six soldiers. The IST consists of two dismounted field sections using two Light Armoured Vehicles (LAVs) to conduct search drills such as Vulnerable Points Search, Area Search, Box Search, etc. It is the combination of the RST and IST that makes EROC efficient. Depending on mission requirements, an Explosive Ordnance Disposal (EOD) team in a Cougar vehicle might be attached. The EOD team carries out a process that includes the detection, identification, on-site evaluation, rendering safe, recovery and final disposal of explosive ordnance. 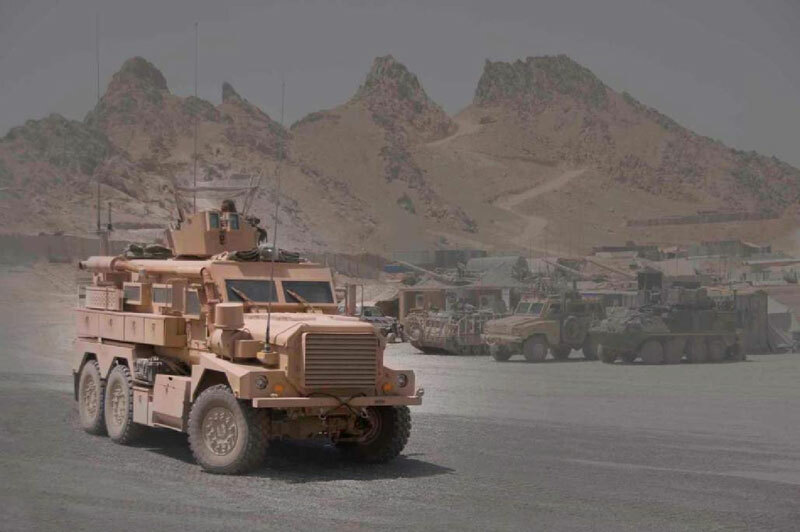 The Husky vehicles are used to detect possible threats, the Buffalo is used to investigate what was detected, and the LAVs transport troops and can be used as force protection elements. When an EOD team is included, the Cougar transports the EOD operators and their vast array of tools, including explosive ordnance disposal robots. These vehicles are based on a proven design that offers a high level of crew protection against explosive blast and ballistic threats. In 2018, 43 C-IED Sqn tried a different approach: both courses were planned to overlap to allow the Husky and Buffalo operators to learn as part of an EROCechelon. The operator and the section commander courses overlapped during a period from early April to early June. On the Operator course, candidates learned how to operate the Husky and the Buffalo, including the Buffalo’s arm and gyro camera. On the section commander course, candidates learned how to command the Route Search Team section and the Intermediate Search Team section. A large portion of the training was conducted on the new EROC training road, which was constructed over the last year in the Gagetown training area. The new road is about a kilometre long and the surface is divided into asphalt, concrete and gravel portions with different slopes and curves. The road has 13 culverts of various types and diameters, and 18 training IEDs were placed at varying depths and locations during the construction. This allows the Husky’s operators to see how the ground-penetrating radar system detects different IEDs in diverse environments. This road also enables crews to practise a wide variety of training scenarios, which develops the initiative and decision-making skills of future section commanders and operators.